La Condesa was recommended by our hotel in Austin for gluten free options, and it was DELICIOUS! I loved everything we had. They even had a lot of healthy options if that's what you're in the mood for. This is not your traditional Tex-Mex, but it's very good. I tend to overdo it with chips and salsa anytime I go eat Mexican food, and this time was no exception, but at least their portion sizes were slightly smaller. Haha! I know this picture quality is AWFUL, but this dish was so flavorful! 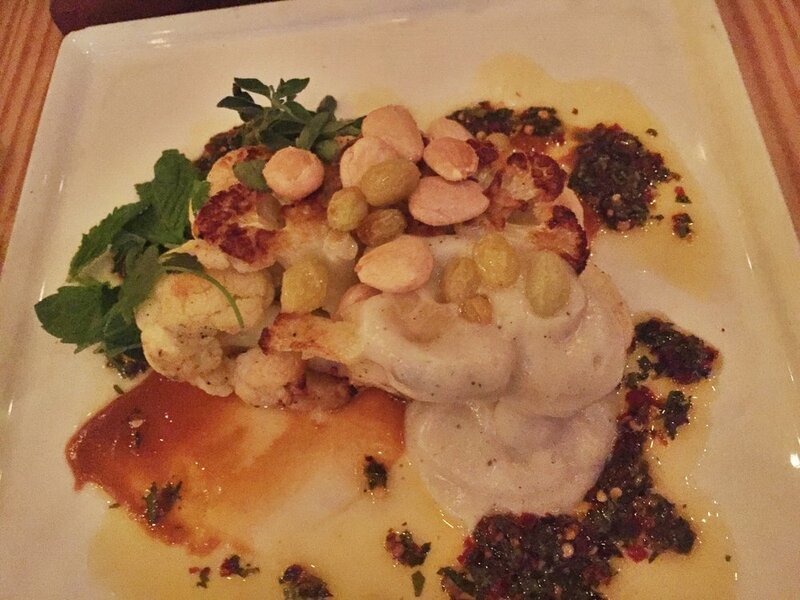 It was a vegetetable side with cauliflower, cauliflower puree, marcona almonds, golden raisins, and some really delicious sauces. I LOVED it!